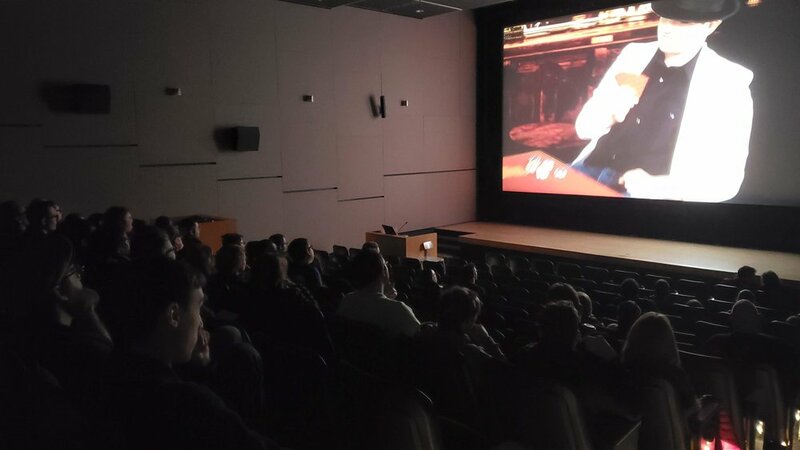 Thursday’s open studio showcased a selection of work coming out of all our programming, featuring behind the scenes and pre production work from some of the films that are made here in the Spectrum Studios. This was our first ever open studio/vernissage and was a great step towards presenting Spectrum Productions like an artist hub for Autistic Creators, next year we plan to expand on this idea and hopefully showcase more talent from beyond our studio walls. 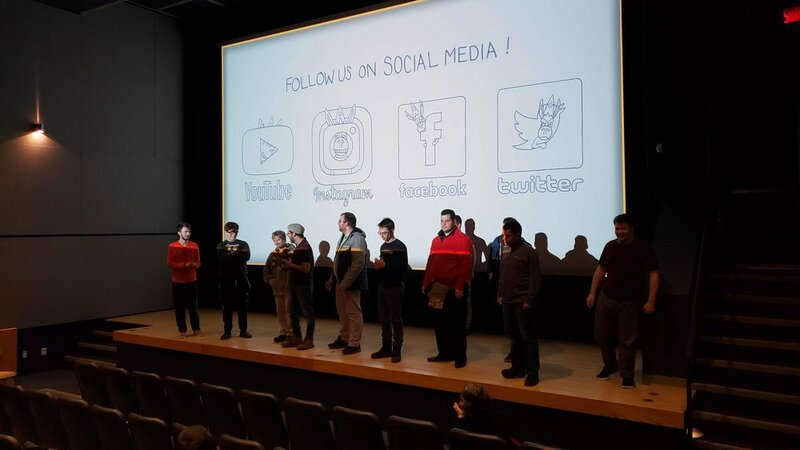 Saturday at Cinema De Seve, the day started off with a presentation/ discussion from Dan (Director) and Cameron (Director of Productions) the presentation focus was “Pathways into the Arts and Media for Autistic Creatives”. We are working really hard to bridge the gap between the creatives in our studio and what the industry needs to adapt a more inclusive hiring structure. 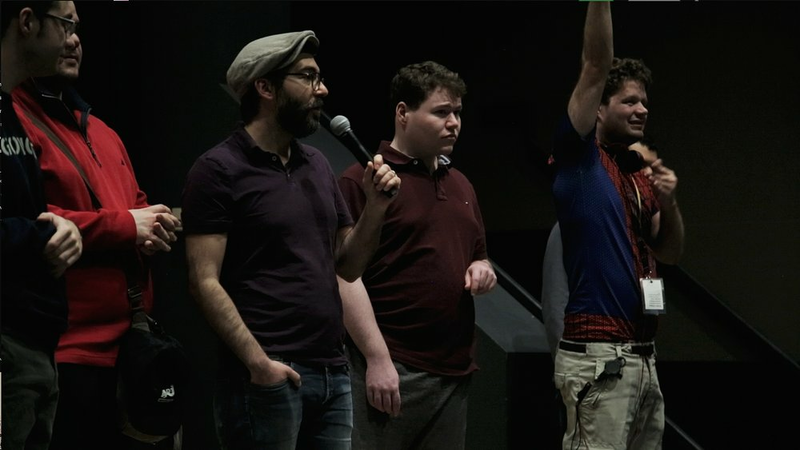 The talk was attended by some heavy hitters in the industry and was an amazing discussion, which proved that the industry is ready to move towards neurodiversity, they just need the tools to do so. 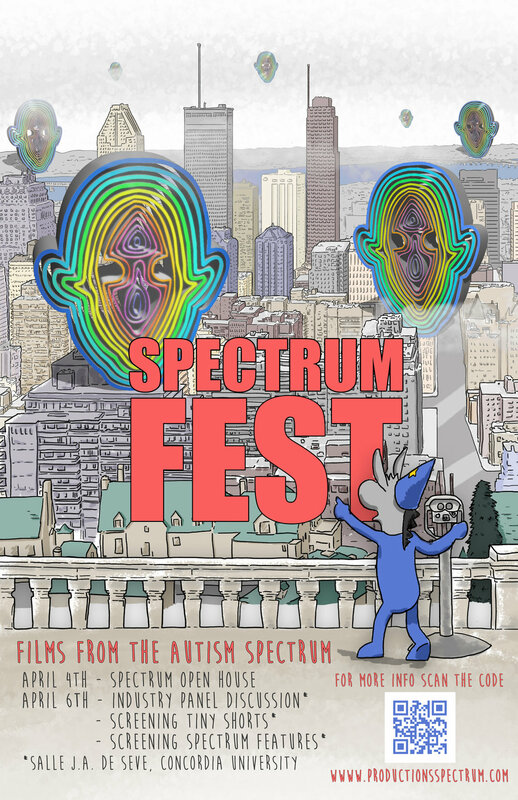 Our focus is to give the industry the support it needs to open doors to hiring more Autistic creators. We would like to thank everyone that came out to take part in this important discussion and we look forward to continuing the conversation moving forward. screening, featuring all shorter ideas created across all our programming played to laughter and some slight tears thanks to Julie Myhr’s heartbreaking retelling of Charlottes Web aptly named Julies Web. 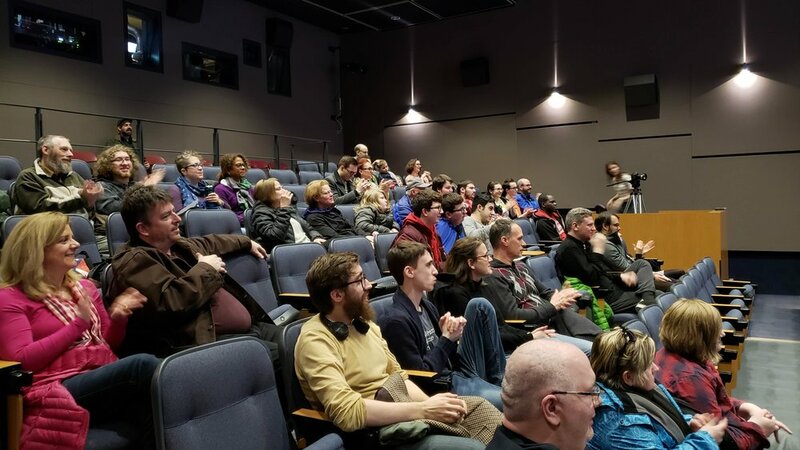 It was all good though Robin Mahar’s “Vacuum Man goes to LaRonde” brought everyone back and topped off the screening with a bucket full of laughs. kicked off with camp attendee Zoe Fellahi’s latest instalment of the Escape series “On a hysterical run from the detectives” a whimsical tale of Helen Saain, who has made it her full time job, running away from the authorities. Papa, a film by Jeremy Dufour gave us a welcome breath, his film touches on heavier subjects like dealing with death and family, his film has also been selected by another festival, which goes to show hard work pays off. 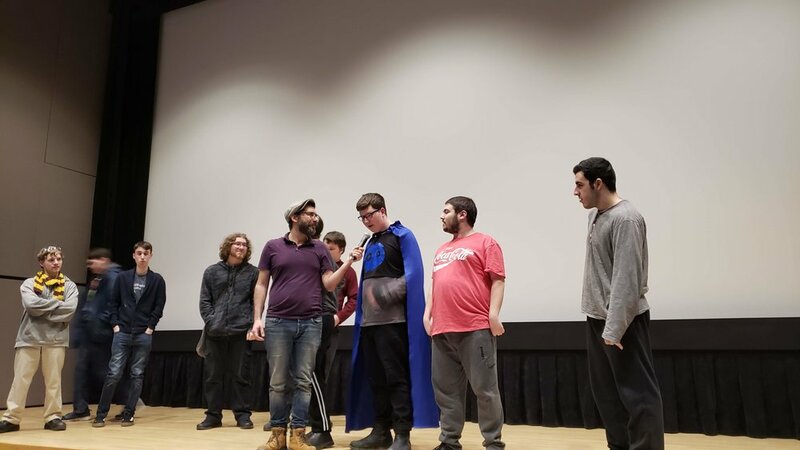 To finish off we had the premiere of The Illusionist 3 the bookend to a series created by Robert Girolami, a long time attendee at our summer camp program, he has also worked as a mentor for Spectrum Productions, passing on skills he has learnt during his time at Spectrum. A HUGE THANKS TO EVERYONE! WE CAN’T DO THIS WITHOUT YOUR SUPPORT. Thanks to everyone who came out and we are excited to bring you even more next year. Also, we are still running our indie go go campaign for another 55 days and in just 5 days have made 37% of our goal!!! so please donate and share if you haven’t already by clicking the photo below.